I take this opportunity, as we celebrate DAL200, to reflect upon my 25 years with Dalhousie University. I have witnessed many changes, been involved in countless exciting and challenging adventures and met thousands of wonderful people. When I started with the Centre for Advanced Management, (originally OEPG), my role was to provide support to applicants and students of the MBA (Financial Services) program. I found my home! Over the years, I was honoured to provide “behind the scenes” assistance to individuals who embarked on a profound and robust academic journey. In the beginning, the blended/distance program was a relatively new delivery concept to the Faculty of Management and Dalhousie. Together, our Faculty of Management team and incoming students demonstrated that high quality teaching and learning could be achieved without having a physical presence on campus. The MBA (Financial Services) program, and later the MPA (Management), and Management of Information Management programs, offered working professionals with a unique opportunity to continue with their professional careers and personal obligations while achieving a post-graduate degree. Many students joined the program primarily for career advancement, however they soon discovered that the path to earning a degree presented much more: deeper learning, strategic thinking, confidence, a new way of looking at the challenges they face, and of course, life-long relationships. Recently, I was reminded of these enduring friendships, when I received a photo from a 1999 graduate, depicting a large group of fellow alum at a dinner arranged by the group without Dalhousie involvement. Over the years, advances in technology have enhanced the delivery of CFAME programs. From facsimile machines to video conferences, live classroom sessions, webcasts, etc., what remained constant was the dedication to deeper learning, exploration and discovery, the staple of higher education. Students bring a vast amount of knowledge to the classroom, which strengthens the experience for everyone. It is our hope that the Dalhousie journey does not end with the completion of the program. Our graduates go on to do amazing things – academically, professionally and life altering. The relationships that evolve over the course of academic years at Dalhousie are truly valued. As alumni of Dalhousie, graduates become part of a larger, global community. The goal of CFAME Connection is to enrich the Dalhousie experience and keep our alumni relationships strong (knowledge sharing, deeper learning, building relationship, staying connected). I want to send thanks to all our students, alumni and faculty for participating in the CFAME Connection conversation, and special thanks to Rebecca (MBA FS 2003) for making it all happen. Robbie Burns’ message “Should auld acquaintance be forgot and never brought to mind?” remains ever relevant in a world where friendships have taken on a global perspective. His words, traveling across the centuries, are a call to action. On this Robbie Burns Day 2018, let us celebrate and remember the importance of friendship and camaraderie. From Artificial Intelligence to Biotechnology to Industry 4.0, a convergence of digital forces is transforming our world. On November 30, 2017, Dalhousie’s Grant Sullivan, a long-time CFAME faculty member with extensive field expertise in the convergence of digital forces that are transforming our world, spoke to a Calgary audience on how to successfully navigate the changes in society, business and government. Over the course of the evening, Grant reviewed the most transformational technologies to watch in the years ahead. Now, for the benefit of those who could not attend the event, Grant has graciously provided a synopsis of his presentation in this post. While Digital Transformation seems to be omnipresent within our economy, it has deep roots that began many years ago. Humans have evolved to prioritize cognition, social collaboration, and augmented capabilities through tools. While the legacy of this evolution leaves us with some quirky habits (like short-termism, tribal competition, and adaptive memories) we set ourselves on a journey of transformation many years ago. I find Social Anthropology a fascinating subject that helps explain our world today. Consider the works of Yuval Harari and his recent book Sapiens as a good example. There are interesting and important stories to tell about our evolutional journey, but for this talk, we pick up the story around 1500AD at the Renaissance. Prior to this period humans learned to dominate the Earth but pretty much fell into a rut of repetition, longing for a golden age where the gods were favorable and much of life was spent in an agrarian economy serving the empire of the day. The Renaissance was born from individuals who dared to, “wonder why”, consider new theories and approaches, and who made daring investments in pursuit of new knowledge and other riches. From this period, we saw the emergence of a robust scientific method grounded in experimentation and objective proof. We also saw the emergence of Intellectual Property rights and limited liability companies, paving the way for an explosion in investments and the rise of a “middle class”. With the ability to invest, came the necessity for a return, and thus the pursuit of productivity tools to make the future more profitable than the past. Taming wind and steam power to automate factories and distribution gave rise to the first industrial revolution. This was followed by similar boosts from electricity, the assembly line, management science, and finally programmable logic controllers. We now see ourselves on the cusp of what many call the Fourth Industrial Revolution where flexible manufacturing meets electronic collaboration from people and machines around the globe. But what makes the latest part of the journey so interesting is that the pace is exponential. Digital projects have no inventory or distribution cost, are built for integration, and are easier to design, test and simulate. More importantly, they are extensible. Digital projects in their first generation merely need to be comparable to current products. Once established as an alternative, they quickly adapt and improve to become far more than the original product and are easy to extend with other services to become even more valuable. Think about how digital photography has quickly become far more than a snapshot that you can send to your friends. We are in an age today where five of the top six global firms are Digital providers of infrastructure and tools for our digital age. Many of our industry leaders have been displaced by digital firms that own the client digital experience rather than deriving their value from expertise in a specific industry – e.g. Uber in Taxis, AirBnB in Hotels, Amazon in Retail, etc. What is more, these firms don’t even own or manage the inventory that they sell. Our globally integrated trade network, relatively undisturbed by war in the past three generations and supported by a very efficient global supply chain, requires sustained productivity and innovation. Massive sums of money are available for investment in growth. Don’t rely on capital intensive barriers to entry. We have an exponentially rising global middle class virtually unconstrained in their participation and collaboration within a digital economy. Consider new market strategies or partnerships for changing mass and niche markets alike. Management techniques and ecosystems such as Lean Startup and Innovation Hubs are incubating a variety of new formats at an increasing rate. Have a strategy for Innovation. Take some good bets. More and more industries are finding themselves “disrupted” by new entrants. These new entrants leverage new business formats either aided by technology innovations or by offering improved services through a digital channel. Think about how you would put yourself out of business. Someone else is already working on it. This talk concluded with some technologies and industries to watch which generated some good discussion afterward. Augmented Reality, Artificial Intelligence, Blockchain, and CRISPR were discussed as each are likely to have far reaching effects on our lives and the shape of our economy in the future. We also discussed how all industries will be affected but specifically we can expect significant changes in Transportation, Medicine, Manufacturing, and Entertainment. In my last post, I talked about the concept of Information Governance and its importance. 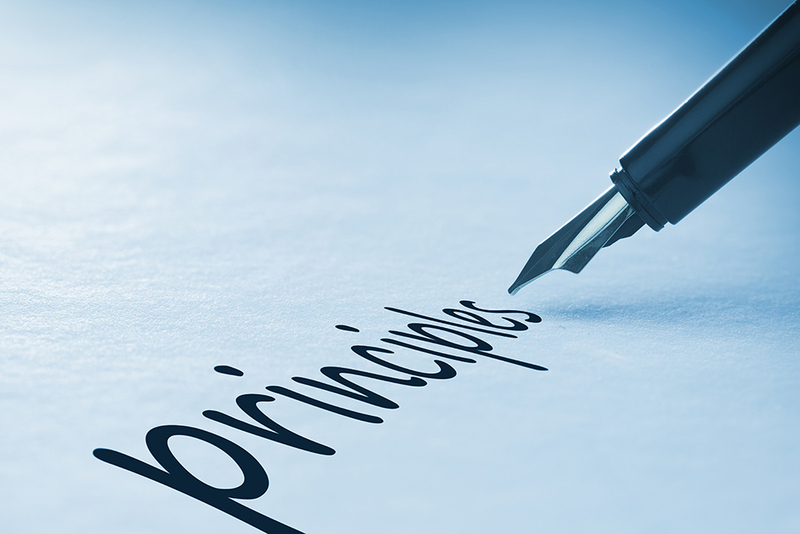 In this post, I will discuss some of the fundamental principles of Information Governance. The image above shows the different types of information resources that can be generated within an organization. Social media, for example, can generate a large volume of very varied records. Application management and BYOD (bring your own device) can be prone to third-party interference and data mining, which can create a high degree of vulnerability when it comes to metadata about organizations and people. The Cloud environment and Big Data are other areas with significant Information Management (IM) implications, but we can discuss all these areas in future posts. Educate all employees regarding their Information Governance duties and responsibilities. Confirm the authenticity and integrity of information resources. Store information resources in an enterprise-approved system or record-keeping repository. Classify information resources according to organizational functions. Control the unnecessary proliferation of information resources. Dispose of information resources when they reach the end of their legal and operational usefulness. Secure customer and enterprise confidential/personally identifiable information. Comply with subpoena, audit, and discovery requests for information resources. Ensure that third parties that hold customer or enterprise information comply with your organization’s Enterprise Information Governance standards. In the next post, I’ll discuss two common Information Governance models. Dr. James R. Barker: You want to be a leader; Ask yourself this question. I first started to think about leadership when I was in the U.S. Army. During that time, one of their recruiting slogans was “be all that you can be”. There was a nice rhyme to it – “be all that you can be in the U.S. Army”. The words had a nice flow together, sound together. It was quite motivational. That is when I started thinking about leadership. But let’s think about what leadership does particularly as we jump to the present. Leadership tells you “to be all that you can be” whether it be a transformational leader, an authentic leader, or whatever leader you choose to be. Bottom line – be the best leader you can be. There is a problem. If you are just focused on yourself – that is, being the best you can be- whether transformational, authentic, or whatever you want to call it – it directs your attention away from what the organization needs. That’s the disconnect. How can I be the leader that my organization needs me to be right now? That’s the key question. Think about that one! How can I be the leader that my organization needs me to be . . . Right now! How do you answer the question? One of the ways to get started is to think about what conditions are required to be in place for others to be successful. Focus your attention on putting conditions in place others need, to create the value they need to create. Start looking to see what your subordinates, team, peers, and even your boss need you to do to help them be successful. Organizations require leaders who are able to bring out the collective knowledge and talents of their teams. When leaders create conditions for others to succeed, organizations have the strength to navigate the complexities of an ever-changing work environment. 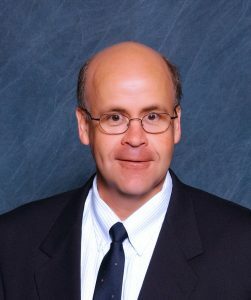 Dr. James R. (Jim) Barker is a globally recognized expert in complex organizational behavior, ethics, and strategy who holds specific expertise in leadership, safety, change management, and stakeholder engagement. CFAME Connection is delighted to advise that Jim has graciously agreed to share his research in future posts. Sylvain Charlebois: Blockchain, Agrifood’s New Uber? There has been a lot of noise on cryptocurrencies and Bitcoin of late. While some suggest cryptocurrencies are a fraud, others believe them to be the next economic revolution the world has seen since the internet. Bitcoin has brought to light the interesting concept of blockchain technology which offers great potential for the agrifood sector. Yet it is far from being the panacea for diverse issues affecting the industry, at least not yet. Simply put, blockchain technology is a way of storing and sharing information across a network of users in an open virtual space. Blockchain technology allows for users to look at all transactions simultaneously and in real-time. In food, for example, a retailer would know with whom his supplier has dealt with. Additionally, since transactions are not stored in any single location the information is almost impossible to be hacked. For consumers, blockchain technology can make a difference. By reading a simple QR code with a smart phone, data such as an animal’s date of birth, use of antibiotics, vaccinations, and location where the livestock was harvested can easily be conveyed to the consumer. Blockchain makes a supply chain more transparent at an all new level. It also empowers the entire chain to be more responsive to any food safety disasters. Massive organizations such as Nestle, and Unilever are considering blockchain technologies for that reason. Walmart, which sells 20% of all food in the U.S., has just completed two blockchain pilot projects. Prior to using blockchain, Walmart conducted a traceback test on mangoes in one of its stores. It took 6 days, 18 hours, and 26 minutes to trace mangoes back to its original farm. By using blockchain, Walmart can provide all the information the consumer wants in 2.2 seconds. During an outbreak, 6 days is an eternity. A company can save lives by using blockchain technologies. Blockchain also allows specific products to be traced at any given time, which would help in the reduction of food waste. For instance, contaminated products can be traced easily and quickly, while safe foods would remain on the shelves and not in landfills. Blockchain will allow everyone to be paid more quickly, from farm to plate. Farmers could sell more quickly, and be properly compensated as market data would be readily available and validated. Blockchain technology could represent a legitimate option for farmers who feel compelled to rely on marketing boards to sell their commodities. The use of blockchain could prevent price coercion and retroactive payments, both of which we have seen across the food supply chain. Blockchain technologies could “uberize” the agrifood sector by eliminating middlemen and lowering transaction fees. This can lead to fairer pricing and even help smaller outfits desperate to get more market attention. However, it will work only if the data at the source is accurate, as current practices in the industry are much more open to human error. Much of the compliance data is audited by trusted third parties and stored either on paper or in a centralised database. These databases are highly vulnerable to informational inaccuracies, hacking, high operating costs, and intentional errors motived by corruption and fraudulent behaviour. Blockchain operates anonymously, so mistakes would be traceable to individual culprits. Considering recent food fraud scandals, which we have seen in Canada and elsewhere, this feature is not trivial. Blockchain technology provides a method with which records are kept permanently. Most importantly though, it facilitates data sharing between disparate actors in a food value chain. Many retailers have sold fraudulent food products unknowingly. With the use of blockchain these days could come to and end. Our current traceability systems need work, and blockchain technologies could be the evolution it needs. Given its architecture, blockchain technology offers an affordable solution to both SMEs and large organizations. However, there are noteworthy limitations. The amount of information which can be processed is limited. Since everything is out there, several contracts between organizations would need to be secured for some level of confidentiality to be retained. Balancing confidentiality with transparency would need to be worked out. The agrifood arena is filled with secrets. How blockchain technology is currently being deployed would be problematic for many food companies. For many, blockchain is just a solution looking for a problem. Secondly, blockchain is really in its infancy and most are uncertain about its potential. Also, the innovation in blockchain architectures, applications and business concepts is happening rapidly. It’s a decentralised, open-source organism which is challenging to grasp for many, including governments. In food, innovation is always desirable until it becomes real. Once it manifests itself, guards go up. Some organizations are moving ahead while others wait to see what happens. The marketplace is currently fueled with confusion due to the Bitcoin phenomena, which is labelled by many as being irrational and ridiculous. Cryptocurrencies allow for transactions to occur while using blockchain technology, but it remains just an option. Nevertheless, the most important challenge for blockchain technology remains participation. All parties must adopt the technology in order for it to work. In food distribution not all companies are equal, and some can exercise their power more than others. A successful integration of the blockchain requires the engagement of all participating organizations. Walmart’s blockchain will likely be successful because it’s Walmart. But thousands of companies have the same clout. Regardless, blockchain technology in agrifood has potential but it needs work. Industry public leaders should embrace blockchain as an opportunity and should be added to a digitalisation strategy currently affecting the entire food industry. As such, transparency, productivity, competitiveness and sustainability of the agrifood sector could be enhanced. Nonetheless, research should look at how to generate evidence-based blockchain solutions to democratize data for the entire system before we get too excited. Throughout the four years, I gained friendships that continue to inspire me to seek excellence and continue with life-long learning. I use social media to remain connected to many students and professors. I enjoy hearing about their successes. The MBA(FS) program had a huge impact on my life. This was a time of heightened learning, which continues to influence and reward my personal and career pathways. The human experience may be defined by the journeys we undertake during our lifetimes. The decision to engage in a rigorous academic program is not made lightly, for travelers know that the road ahead will demand their highest commitment to excellence. Even so, the rewards of knowledge, experience, and camaraderie are well worth the hard work and effort. Lana Catalano MBA(FS) Class of 2011, is a champion of life-long learning and suggests that the MBA programs offered through the Centre for Advanced Management Education (CFAME) equip graduates with strategies to thrive in a highly competitive work environment. I recommend that anyone considering a MBA program, complete the necessary research prior to making the final decision and applying for enrollment. Without doubt, it is a huge step and commitment to enroll in an MBA program as a mature student after years of working and involved within a less formal educational structure. Participating in a MBA program had been my long-range goal. The challenge was finding the right time to begin. I knew that I would be adding study hours to my already busy schedule. I enjoyed my family time as well as the challenges of my career. There was definitely self doubt. Am I too old? Am I smart enough? Do I have the time? Can I juggle the demands of family, school and work? And, can I commit to this for a 4+ year term? I sent away for information on different programs, local and distance learning, and explored an accounting degree as well as Executive MBA. What impressed me most about the MBA(FS) program was the flexibility and recognition of industry courses through the partnership with CSI and the CFP track. I appreciated the virtual component, which allowed individuals to study and complete assignments on their time as opposed to having to attend a certain class time-slot. The courses were available in Vancouver, Calgary, Toronto, Halifax and throughout the summer which gave me the chance to map out a few options for a shorter or longer-term completion depending on how many courses taken per semester. I had the option to take the summer off or double up on courses in a particular semester. The support I received throughout the program, especially at the beginning, helped in my decision process and in mapping out the degree program. I had the pleasure of attending intensives across the country in every city. The students and professors I met as I progressed through the courses, confirmed that I had made the right decision and gave me confidence that I would succeed. Every student had a different story, background and experience which made the interactions and topics relevant and interesting. Group work was enhanced because of our individual course order, which was based on location, preference and knowledge base. Our diverse experiences gave insight as to what we could look forward to in future courses. I am strong advocate and active promoter of the MBA(FS) program. For those who may have the goal to further their education, I recommend contacting the CFAME team and explore the options available through Dalhousie Centre for Advanced Management Education.